Location of Chattanooga in Hamilton County, Tennessee. 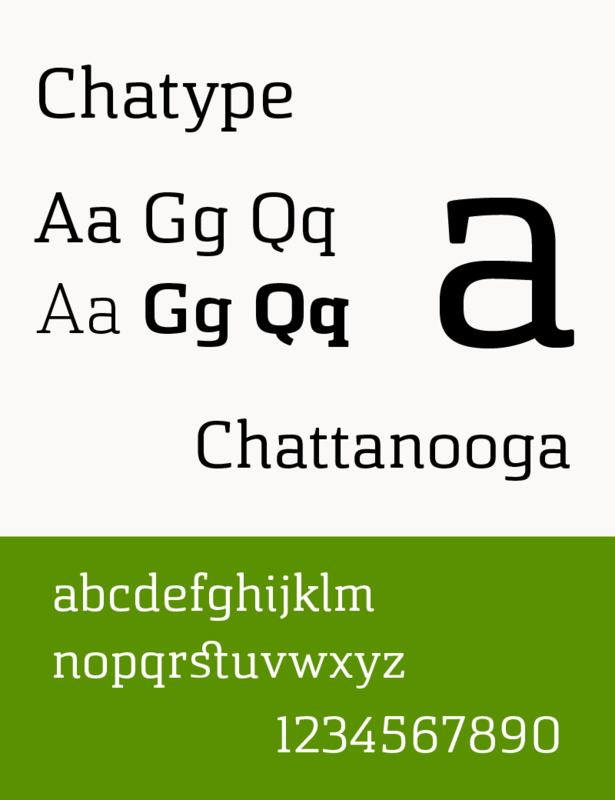 Chattanooga is a city in the U.S. state of Tennessee , with a population of 176,588 in 2015. The fourth-largest Tennessee city, it is the seat of Hamilton County . Located in southeastern Tennessee in East Tennessee , on the Tennessee River , served by multiple railroads and Interstate highways , Chattanooga is a transit hub. Chattanooga lies 120 miles (190 km) northwest of Atlanta, Georgia , 120 miles (190 km) southwest of Knoxville, Tennessee , 135 miles (217 km) southeast of Nashville, Tennessee , 120 miles (190 km) northeast of Huntsville, Alabama , and 148 miles (238 km) northeast of Birmingham, Alabama . Chattanooga is internationally known for the 1941 song " Chattanooga Choo Choo " by Glenn Miller and his orchestra . Chattanooga is home to the University of Tennessee at Chattanooga (UTC) and Chattanooga State Community College . The first inhabitants of the Chattanooga area were Native Americans . Sites dating back to the Upper Paleolithic period showed continuous occupation through the Archaic , Woodland , Mississippian / Muskogean / Yuchi (900– 1714 ce), and Cherokee (1776–1838). The Chickamauga Mound near the mouth of the Chickamauga Creek is the oldest remaining visible art in Chattanooga. The Citico town and mound site was the most significant Mississippian / Muscogee landmark in Chattanooga up to 1915. 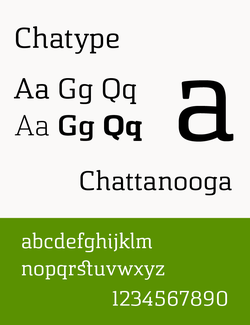 The first part of the name "Chattanooga" derives from the Muskogean word cvto /chắtȯ/ – 'rock'. The latter may be derived from a regional suffix -nuga meaning dwelling or dwelling place. In late 20th and early 21st centuries, substantial private and governmental resources have been invested in transforming the city's tarnished image. They have worked to revitalize its downtown and riverfront areas, making use of its natural resources. An early cornerstone of this project was a restoration lasting several years, from the mid-to-late 1980s to 1993, of the historic Walnut Street Bridge . An excellent specimen of the Camelback truss bridge , it is the oldest surviving bridge of its kind in the Southeastern United States, having been built in 1891.
Notable Chattanooga businesses include Access America Transport , BlueCross BlueShield of Tennessee , CBL & Associates , The Chattanooga Bakery , Chattem , the world's first Coca-Cola bottling plant, Coker Tire , U.S. Xpress Inc., Covenant Transport , Double Cola , CraftWorks Restaurants & Breweries , Luken Communications , Miller & Martin , the National Model Railroad Association , Reliance Partners , Republic Parking System , Rock/Creek , Tricycle Inc. , and Unum . The city also hosts large branch offices of Cigna , AT&T , T-Mobile USA , and UBS . McKee Foods Corporation , the maker of nationally known Little Debbie brand snack cakes, is a privately held, family-run company headquartered in nearby Collegedale, Tennessee . Notable companies that have manufacturing or distribution facilities in the city include Alstom , Amazon.com , BASF , DuPont , Invista , Komatsu , Rock-Tenn , Plantronics , Domtar , Norfolk Southern , Ferrara Candy Company (manufacturer of Brach's candies ), Alco Chemical , Colonial Pipeline , and Buzzi Unicem . The William Wrigley Jr. Company has a prominent presence in Chattanooga, the sole site of production of Altoids breath mint products since 2005. There is also a Vulcan Materials quarry in the vicinity of the city. Tourism and Hospitality has been a growing part of Chattanooga's economy, with 2014 being the first year for Hamilton County to in revenue. Startups have been an increasing trend, due in part to EPB 's fiber optic grid. Notable venture firms based in the city are Blank Slate Ventures, Chattanooga Renaissance Fund, Lamp Post Group, SwiftWing Ventures, and The Jump Fund. The city is served by several incubators, notably Co.Lab, the Business Development Center, and Lamp Post Group. The Business Development Center is among the nation's largest incubators, both in square footage and in the number of startups that it supports. Co-working spaces have picked up downtown, including Society of Work and Chattanooga Workspace. Unique in the city is the startup accelerator Gigtank, which utilizes the city's gigabit capacities and focuses on 3D printing, healthcare, and smartgrid technologies. Notable startups include Quickcue (acquired by OpenTable in 2013), Reliance Partners , PriceWaiter, Bellhops Moving Help , Variable Inc. ( NODE ), Ambition, Feetz, and TransCard. Chattanooga went from zero investable capital in 2009 to in 2014. Electric power for most of the city and surrounding area is provided by the city-run Electric Power Board (EPB). EPB also provides high-speed Internet service, TV, and telephone service to business and residential customers throughout Hamilton County, as well as parts of Bledsoe County , Bradley County , Catoosa County , Dade County , Marion County , Rhea County , Sequatchie County , and Walker County , via the nation's largest municipally owned fiber optic system. 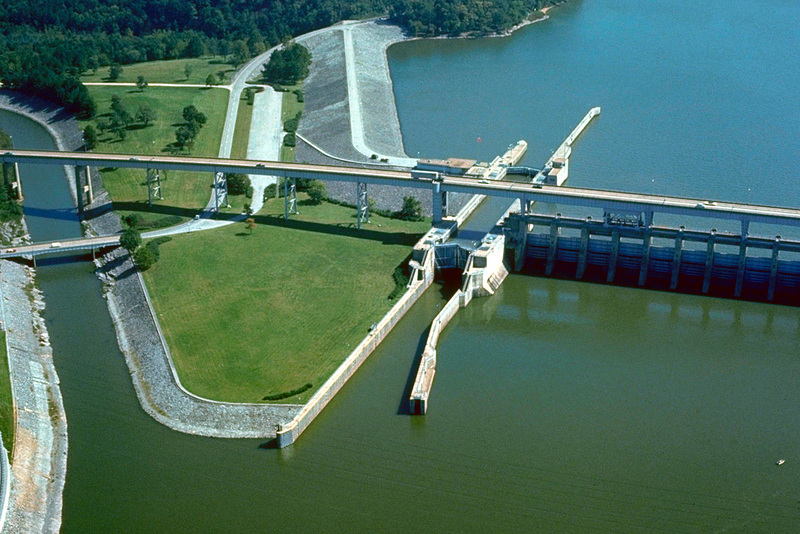 TVA operates the nearby Sequoyah Nuclear Power Plant , Chickamauga Dam , and the Raccoon Mountain Pumped-Storage Plant , all of which provide electricity to the greater Chattanooga area. TVA's corporate power generation and distribution organization is headquartered in downtown Chattanooga. Natural gas and water are provided by the privately run Chattanooga Gas Company and Tennessee-American Water Company , respectively. 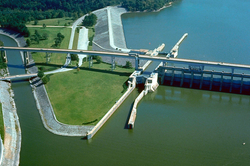 In 2005, then-Mayor Ron Littlefield stated his desire for the city to purchase the Tennessee-American Water Company, which was sold in a public offering in 2007. Former Mayor Jon Kinsey 's attempts to have the city buy control of Tennessee-American Water were defeated in court. Chattanooga, as the county seat of Hamilton County , is home to Chattanooga's City Courts and Hamilton County's Courts. Chattanooga is the location of the United States District Court for the Eastern District of Tennessee 's Southern Division, which is housed in the Joel W. Solomon Federal Courthouse . The Southern Division has jurisdiction over Bledsoe , Bradley , Hamilton , Marion , McMinn , Meigs , Polk , Rhea , and Sequatchie counties. Most of Chattanooga's primary and secondary education is funded by the government. The public schools in Chattanooga, as well as Hamilton County, have fallen under the purview of the Hamilton County Schools since the 1997 merger of the urban Chattanooga City Schools system and the mostly rural Hamilton County Schools system. The Howard School , was the first public school in the area, established in 1865 after the Civil War. 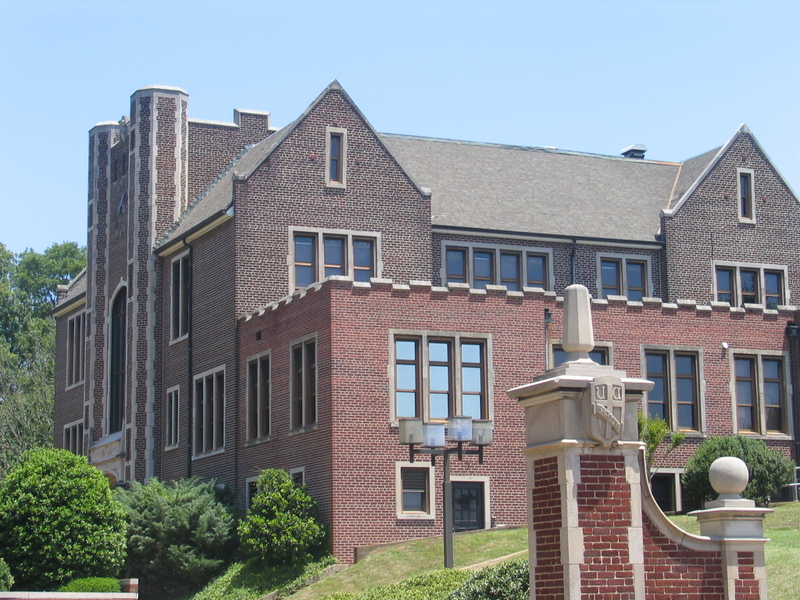 Tyner High School (now Tyner Academy ), was the first secondary school built east of Missionary Ridge in 1907. It is now the home of Tyner Middle Academy . The Chattanooga School for the Arts and Sciences , the STEM School Of Chattanooga and the Chattanooga High School Center for Creative Arts are additional public magnet schools. 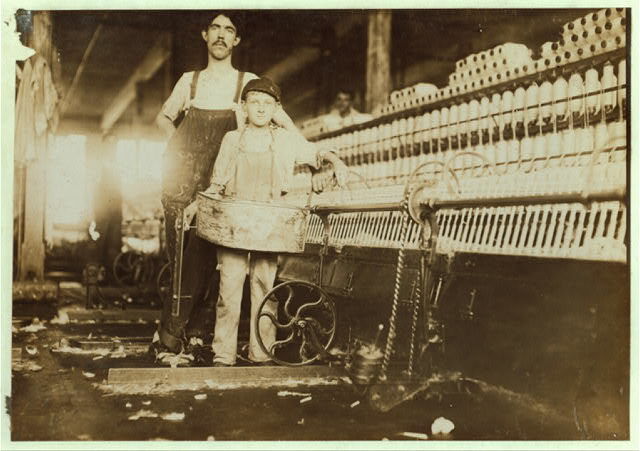 Child labor at Richmond Spinning Mill in Chattanooga, 1910. Photo by Lewis Hine . A wide variety of higher education institutions can be found in Chattanooga and nearby. The University of Tennessee at Chattanooga is the second largest campus of the University of Tennessee System , with a student population of over 11,669 as of 2015–16 school year. Chattanooga State Community College is a two-year community college with a total undergraduate enrollment of roughly 11,000 students. Tennessee Temple University is a Baptist college located in the Highland Park neighborhood that is no longer operating as of 2015. Chattanooga is also home to a branch of the University of Tennessee College of Medicine , which provides medical education to third- and fourth-year medical students, residents, and other medical professionals in southeast Tennessee through an affiliation with Erlanger Health System . Covenant College , a private liberal arts college operated by the Presbyterian Church in America , is located in the nearby suburb of Lookout Mountain, Georgia , and has a student population of about 1,000. Southern Adventist University is located in the suburb of Collegedale, Tennessee , and enrolls roughly 3,000 students. Virginia College School of Business and Health offers a variety of programs leading to diplomas, associate degrees, and bachelor's degrees. The Chattanooga Public Library opened in 1905. Since 1976, the Chattanooga-Hamilton County Bicentennial Library system had been jointly operated by the city and county governments; due to Chattanooga terminating a 1966 agreement with Hamilton County to distribute sales tax revenue equally, the city has taken over full funding responsibilities as of 2011. The city was given a Carnegie library in 1904, and the two-story purpose-built marble structure survives to this day at Eighth Street and Georgia Avenue as commercial office space. In 1939, the library moved to Douglas Street and McCallie Avenue and shared the new building with the John Storrs Fletcher Library of the University of Chattanooga. This building is now called Fletcher Hall and houses classrooms and offices for the university. In 1976, the city library moved to its third and current location at the corner of Tenth and Broad streets. Parkridge Hospital is located east of downtown in the Glenwood district and is run by Tri-Star Healthcare. Tri-Star also operates Parkridge East Medical Center in nearby East Ridge . Chattanooga has a wide range of performing arts in different venues. Chattanooga's historic Tivoli Theatre , dating from 1921 and one of the first public air-conditioned buildings in the United States, is home to the Chattanooga Symphony and Opera (CSO), which became the first merged symphony and opera company in the United States in 1985. The CSO performs under the baton of Kayoko Dan. The Chattanooga Theatre Centre offers 15 productions each year in three separate theater programs: the Mainstage, the Circle Theater, and the Youth Theater. Another popular performance venue is Memorial Auditorium . Chattanooga touts many attractions, including the Tennessee Aquarium , caverns , and new waterfront attractions along and across the Tennessee River . In the downtown area is the Chattanooga Choo Choo Hotel, housed in the renovated Terminal Station. 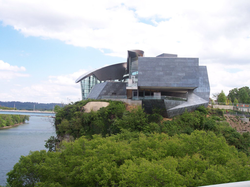 Also downtown are the Creative Discovery Museum , a hands-on children's museum dedicated to science, art, and music; an IMAX 3D Theatre, and the newly expanded Hunter Museum of American Art . The Tennessee Riverwalk , an approximately 13-mile-long (21 km) trail running alongside the river, is another attraction for both tourists and residents alike. Parks and natural scenic areas provide other attractions. The red-and-black painted " See Rock City " barns along highways in the Southeast are remnants of a now-classic Americana tourism campaign to attract visitors to the Rock City tourist attraction in nearby Lookout Mountain, Georgia . The mountain is also the site of Ruby Falls and Craven's House. The Lookout Mountain Incline Railway is a steep funicular railway that rises from the St. Elmo Historic District to the top of the mountain, where passengers can visit the National Park Service 's Point Park and the Battles for Chattanooga Museum. Formerly known as Confederama, the museum includes a diorama that details the Battle of Chattanooga . From the military park, visitors can enjoy panoramic views of Moccasin Bend and the Chattanooga skyline from the mountain's famous "point" or from vantage points along the well-marked trail system. Near Chattanooga, the Raccoon Mountain Reservoir , Raccoon Mountain Caverns , and Reflection Riding Arboretum and Botanical Garden boast a number of outdoor and family fun opportunities. Other arboretums include Bonny Oaks Arboretum , Cherokee Arboretum at Audubon Acres , and Cherokee Trail Arboretum . The Ocoee River , host to a number of events at the 1996 Atlanta Olympics , features rafting, kayaking, camping, and hiking. Just outside Chattanooga is the Lake Winnepesaukah amusement park. The Cumberland Trail begins in Signal Mountain, just outside Chattanooga. Chattanooga hosts the well-known Riverbend Festival , an annual nine-day music festival held in June in the downtown area. One of the most popular events is the " Bessie Smith Strut", a one-night showcase of blues and jazz music named for the city's most noted blues singer. The annual "Southern Brewer's Festival" and the "River Roast" festival celebrate such traditional Southern staples as beer and barbecue. New events, such as GoFest!, the "Between the Bridges" wakeboard competition, Heritage Festival, and Talespin, complement well-established events, such as Riverbend and the Southern Brewer's Festival, and attract their own audiences. Back Row Films is a citywide celebration of film co-sponsored by the Hunter Museum of American Art, the Arts & Education Council, and UTC. Chattanooga has a large, growing, and diversified sports scene for a city of its size, including college sports, minor league baseball, semi-professional teams, professional cycling exemplified by the Volkswagen USA Cycling Professional Road & Time Trial National Championships, the Ironman Triathlon , and a large nationally renowned regatta the first weekend of November. The University of Tennessee at Chattanooga (UTC) Mocs compete in NCAA Division I and the Southern Conference . UTC's athletic programs include football at the FCS level, women's soccer, volleyball, and cross country in the fall; men's and women's basketball, Wrestling , and indoor track & field in the winter; and softball and outdoor track & field in the spring. Men's and women's golf and men's and women's tennis play in the fall and spring. The Chattanooga Lookouts , a Class AA Southern League baseball team affiliated with the Minnesota Twins , boast a loyal following and respectable participation in season-end playoffs. Games take center stage at the downtown riverfront AT&T Field with tickets starting at $5. Chattanooga is home to several semi-professional football teams, including the Tennessee Crush and the Chattanooga Steam. The Tennessee Crush plays its games at Finley Stadium in downtown Chattanooga. The Chattanooga Steam plays at Lookout Valley High School near Lookout Mountain . The city's semi-professional soccer team, Chattanooga FC , plays in the National Premier Soccer League and has led the league in attendance three of the four years of its existence. Chattanooga FC has also gone to the national finals three times since its inception, and drew a record 18,227 fans for their 2015 NPSL title match. The club has also found success in the U.S. Open Cup defeating the professional USL 's Wilmington Hammerheads to reach the tournament's third round in 2014 and 2015. Chattanooga is also home to several rugby teams: the Chattanooga Rugby Football Club, Nooga Red, Nooga Black, men's Old Boys, a women's rugby team, men's and women's teams at UTC, and an all-city high school team. The Chattanooga Rugby Football Club, which was established in 1978 and the 2011 and 2013 DII Mid South champions, is affiliated with USA Rugby and USA Rugby South . The club fields two teams, Nooga Red , which competes in Division II, and Nooga Black , which competes in Division III. There is also a men's Old Boys team, a Chattanooga women's rugby team, as well as collegiate men's and women's teams representing the Mocs at the University of Tennessee at Chattanooga. A citywide high school rugby team, the Wolfpack , was established in 2012 and is open to any high school player living in the Chattanooga area. All seven teams play their home matches at Montague Park. The Head of the Hooch rowing regatta takes place along the Tennessee River in downtown Chattanooga during the first weekend of November. 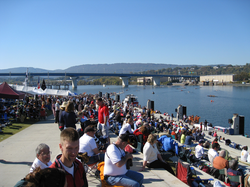 The head race originally took place on the Chattahoochee River in Atlanta before moving to Chattanooga in 2005, hence the name Head of the Hooch . With 1,965 boats in 2011 and nearly 2,000 boats in 2012, this competition ranks as the 2nd largest regatta in the United States,  with numerous college and youth teams, such as UNC Men's Crew, Vanderbilt Rowing Club, James Madison University Crew, University of Tennessee Women's Rowing, Orlando Rowing Club, Nashville Rowing Club, Newport Rowing Club, and Chattanooga Rowing, competing. 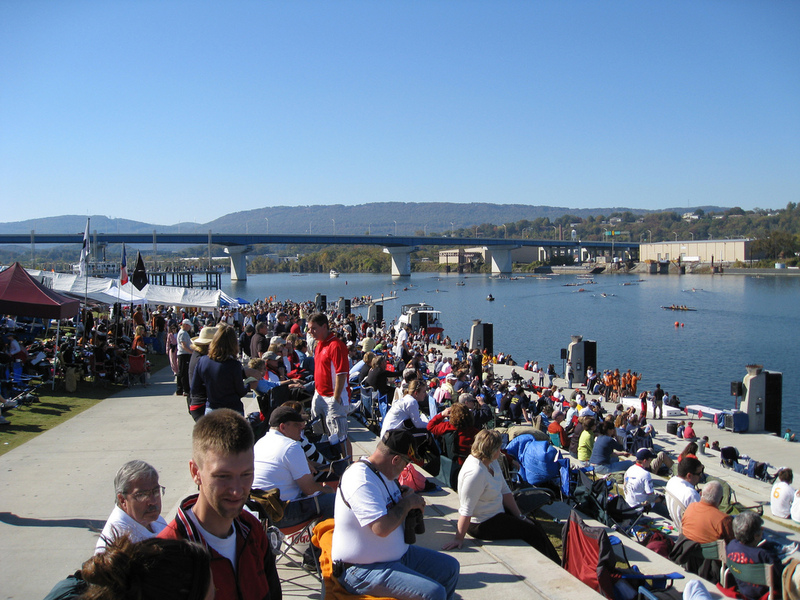 There are also multiple local rowing clubs, such as the Lookout Rowing Club for adults and the Chattanooga Junior Rowing Club for high school students. The weekend of the Head of the Hooch also sees hot-air balloon rides and other activities. Due to its location at the junction of the Cumberland Plateau and the southern Appalachians , Chattanooga has become a haven for outdoor sports, such as hunting, fishing, trail running , road running , adventure racing , rock climbing , mountain biking , and road biking . The internationally known  StumpJump 50k has been hosted on nearby Signal Mountain since 2002. Chattanooga has been a member of the League of American Bicyclists ' Bronze level since October 2003, the only city in Tennessee to be a member of the organization before Knoxville and Nashville joined in 2010 and 2012, respectively. The city boasts a number of outdoor clubs: Scenic City Velo, SORBA -Chattanooga, the Wilderness Trail Running Association, and the Chattanooga Track Club. The city also funds Outdoor Chattanooga, an organization focused on promoting outdoor recreation. In September 2004, the city appointed its first-ever executive director of Outdoor Chattanooga to implement the organization's mission, which includes promoting bicycling for transportation, recreation, and active living. For paddlers, Chattanooga offers the Tennessee River Blueway , a 50-mile (80 km) recreational section of the Tennessee River that flows through Chattanooga and the Tennessee River Gorge . The Tennessee Aquarium has a high speed catamaran , the River Gorge Explorer , to allow up to 70 people to explore the Tennessee River Gorge . The Explorer departs from the Chattanooga Pier. Since 2008, Chattanooga has hosted the World Canine Disc Championship, the crowning event of the largest disc dog competition series in the world. As of the census of 2010, there were 167,674 people, 70,749 households, and 40,384 families residing in the city. 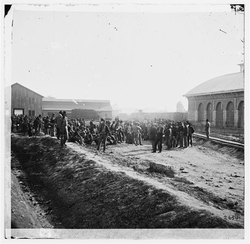 The population density was 1,222.5 people per square mile (472.5/km²). There were 79,607 housing units at an average density of 588.8 per square mile (226.0/km²). The racial makeup of the city was 58.0% White , 34.9% Black , 2.0% Asian , 0.4% American Indian , 0.1% Pacific Islander , 2.8% from other races , and 1.9% from two or more races. Persons of Hispanic or Latino origin (regardless of race) comprised 5.5% of the total population. Non-Hispanic Whites were 55.9% of the population in 2010, down from 67.3% in 1980. There were 70,749 households out of which 26.7% had children under the age of 18 living with them, 36% were married couples living together, 17.3% had a female householder with no husband present, and 42% were non-families. 33.5% of all households were made up of individuals and 26% had someone living alone who was 65 years of age or older. The average household size was 2.26 and the average family size was 2.94. According to the United States Census Bureau , the city has a total area of 143.2 square miles (371 km 2 ), of which 135.2 square miles (350 km 2 ) is land and 8.0 square miles (21 km 2 ) (5.56%) is water. In terms of land area , Chattanooga ranks 68th, which is between Las Vegas, Nevada and Philadelphia . The total area of Chattanooga makes the city larger than that of many cities larger in population, such as Baltimore, Maryland , Atlanta , Fort Wayne, Indiana , and Salt Lake City . The most prominent natural features in and around Chattanooga are the Tennessee River and the surrounding mountains. The city is nestled between the southwestern Ridge-and-valley Appalachians and the foot of Walden's Ridge ; the river separates the ridge from the western side of downtown. 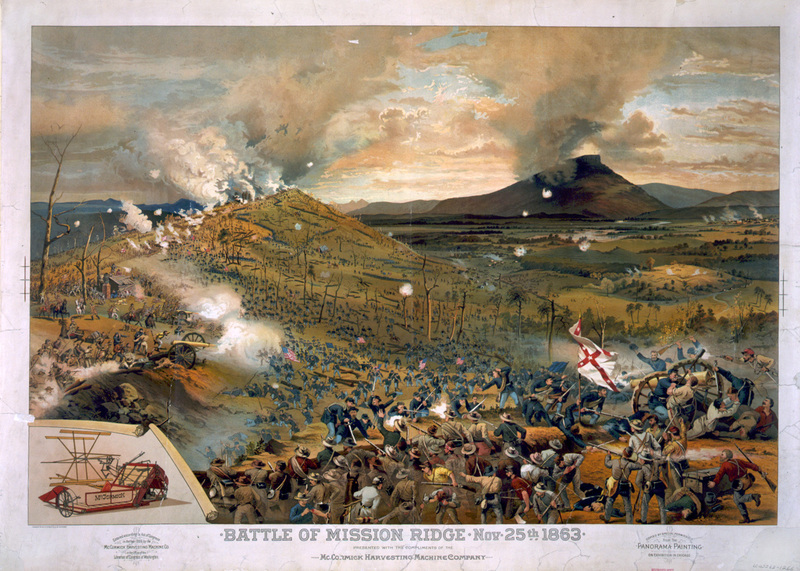 Several miles east, the city is bisected by Missionary Ridge , which is the site of an important battle in the Civil War . Road transport is facilitated by Interstate 75 to Atlanta and Knoxville , Interstate 24 to Nashville , and Interstate 59 to Birmingham . Chattanooga and portions of Southeast Tennessee and North Georgia are served by the Chattanooga Metropolitan Airport . CSX transports rail freight to Atlanta and Nashville, and Norfolk Southern conveys rail cargo to Atlanta, Birmingham, Cincinnati, Knoxville, and Memphis . 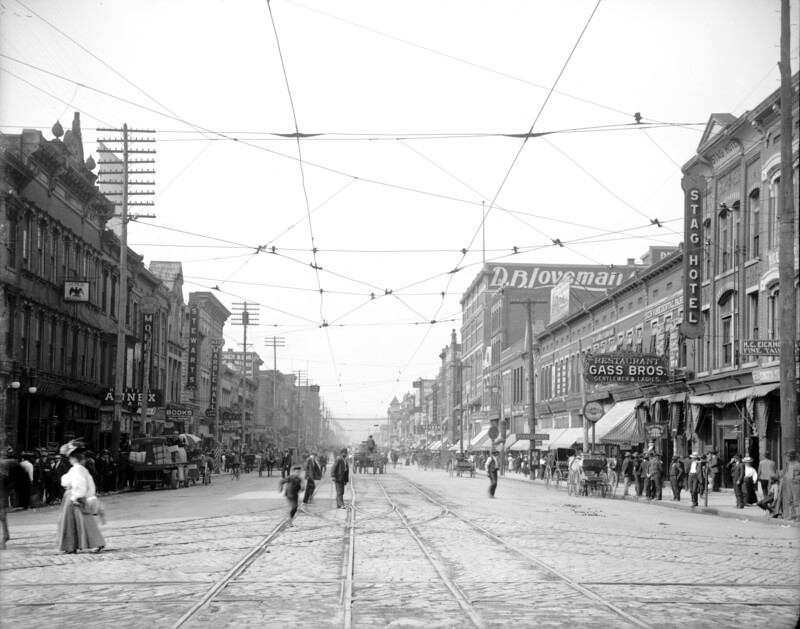 In addition to the restoration of downtown, many of Chattanooga's neighborhoods have experienced a rebirth of their own. Chattanooga has many buildings on the National Register of Historic Places and three neighborhoods: Ferger Place , Fort Wood , and St. Elmo . Additionally, Chattanooga has ten local historic districts: Fort Wood, Ferger Place, Glenwood, Missionary Ridge , Market and Main Streets, Market Street Warehouse, M.L. King Boulevard, St. Elmo, Stone Fort Land Company, and Stringer's Ridge . Considered to be the gateway to the Deep South , along with the Midwest and the Northeast for motorists from states such as Alabama , Florida , and Georgia , Chattanooga's extensive transportation infrastructure has evolved into an intricate system of interstates, streets, tunnels, railroad lines, bridges, and a commercial airport. Bachman Tubes , (also unofficially known as The East Ridge Tunnels), which carry Ringgold Road into the neighboring city of East Ridge . The Lookout Mountain Incline Railway , often referred to as the Incline Railway by locals, serves as a tourist attraction. It is also occasionally used for commuting by Lookout Mountain residents, particularly during wintry weather when traveling up and down the mountain could be very dangerous. 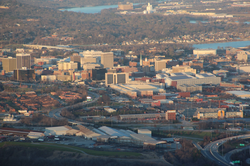 The city of Chattanooga is served by numerous local, regional, and national media outlets which reach approximately one million people in four states: Tennessee , Georgia , Alabama , and North Carolina . The Chattanooga Pulse is a free weekly alternative newspaper, published every Wednesday, that focuses primarily on arts, music, film and culture. It was formed in 2003 by Zachary Cooper and Michael Kull, running independently until 2008, when the paper was purchased by Brewer Media Group, which also owns and operates five radio stations in the city. Enigma is a free monthly pop culture and entertainment magazine. Founded as a weekly newspaper in 1995 by David Weinthal, Enigma lays claim to being Chattanooga's oldest alternative newspaper, even though it had ceased physical publication from 2013 until resuming as a monthly magazine in 2015. See also List of television stations in Tennessee , List of television stations in Georgia . See the separate List of people from Chattanooga, Tennessee . In January 2007, all of the cities above, with the exception of Wolfsburg, had a tree native to each locale planted at Coolidge Park's Peace Grove, which was established to replace a 100-year-old Slippery Elm tree which was damaged in a lightning storm in August 2006. 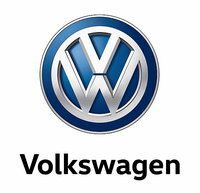 Wolfsburg was added in September 2011. The Peace Grove has eight trees: a Linden Tree, which represents Hamm, a Chinese Elm, which represents Wuxi, a Mediterranean Cedar, which represents Givatayim, a White Birch, which represents Nizhny Tagil, a Ginkgo Tree, which represents Gangneung, an English Elm, which represents Swindon, a European Hornbeam, which represents Ascoli Piceno, and an Oak Tree, which represents Wolfsburg. Mean monthly maxima and minima (i.e. the expected highest and lowest temperature readings at any point during the year or given month) calculated based on data at said location from 1981 to 2010. All information for Chattanooga, Tennessee's wiki comes from the below links. Any source is valid, including Twitter, Facebook, Instagram, and LinkedIn. Pictures, videos, biodata, and files relating to Chattanooga, Tennessee are also acceptable encyclopedic sources. "Chattanooga's History (Great Depression through the Present Day)"
"Peace Grove Takes Slippery Elm's Place in Coolidge Park"
"Chattanooga celebrates sister city agreement with second German city – WDEF.com; Volkswagen News"
"Hamilton County Department of Education :: --Quick Links--"
"Chattanooga has 2nd fastest growth among Tennessee's big cities"
"Internet rivals Comcast, EPB slug it out in Chattanooga market"
"Children With Special Needs | Autism | Early Intervention | Special Education | Down syndrome | Siskin Children's Institute"
"Chattanooga Gig: Your Gig is Here"
"Chatype used everywhere from library to new downtown banners"
"Sales tax accord ends; new era begins"
"Erlanger Ranked Seventh Largest Public Hospital System In The Nation - Chattanoogan.com"
"Film enthusiasts want Chattanooga to become a movie magnet"
"Movie likely shooting at Baylor School in fall helps put city on the map"
"Books Set in Chattanooga, Tennessee"
"Cherie Priest, Four and Twenty Blackbirds"
"Most Popular Titles With Filming Locations Matching "Chattanooga""
"Chattanooga: History – Native Americans Displaced by Early Settlers"
"Chattanooga, Tennessee (Reconstruction to World War II)"
"Chattanooga, Dirtiest City in American | Chattanooga Green City"
"Where Do Our Interstate Highways Terminate?" "Why did they name it the "Ol' Johnny Bridge?"" "Bridge Statistics for Chattanooga, Tennessee (TN) - Condition, Traffic, Stress, Structural Evaluation, Project Costs"
"Chattanooga, Tennessee Visitors Bureau – Chattanooga Outdoors – Coolidge Park"
"Healing the Urban Heart: Chattanooga's Next Great Challenge"
"Chattanooga, Tennessee Visitors Bureau – Chattanooga Outdoors – Renaissance Park"
"Chattanooga cleans up for better quality of life"
"Point Park, on Lookout Mountain, Georgia-Tennessee"
"Chattanooga: Green focus of city affirmed Image-makers weigh tourism outlook"
"The 5 Best Bluegrass Festivals in the Country"
"37th Chattacon convention brings science-fiction fans to Chattanooga"
"Creature comforts: Chattacon lures fantasies to Chattanooga Choo Choo"
"NCAA inks three-year extension to keep FCS title game in Frisco, Texas"
"Chattanooga Lookouts official site; affiliate stated on top right-hand corner of web page"
"Fastest Net Service in U.S. Coming to Chattanooga"
"US amateur record crowd of 18,227 sees NPSL club Chattanooga FC fall in overtime in championship"
"See Chattanooga's rugby boom this Saturday"
"Banner day for rugby at Montague Park"
"Chattanooga shootings: Gunman ID'd as Muhammad Youssef Abdulazeez"
"Life Savers at 100: Wrigley cites Chattanooga plant during celebration"
"Head of the Hooch competition draws 15,000 to river"
"VW ushers in new era in U.S. with its Chattanooga plant"
"Hooch 2012: A Regatta Like Clockwork"
"Race Schedule For USA Cycling Professional Road & Time Trial National Championships"
"Rodriguez wins fourth U.S. men's road title"
"Filming of "42" begins at Engel Stadium"
"Chattanooga leaders, business owners prepare for "the Super Bowl of cycling""
"Harrison Ford in Chattanooga to film '42'"
"USA Cycling Championships This Weekend"
"Chattanooga lands five-year Ironman deal"
"Volkswagen to Shut U.S. Plant"
"Chattanooga to host Ironman Triathlon series"
"Most Popular Titles With Soundtracks Matching "Chattanooga Choo Choo""
"P.F. Chang's to open restaurant in Chattanooga, Tenn"
"Famed Stump Jump helps kick off Chattanooga's RiverRocks festival"
"UTC McKenzie Arena Celebrating 25 years"
"Dairy Queen trying improved restaurants"
"Dairy Queen opens new Grill & Chill concept in Simpsonville (Ky.)"
"The History of the WWE: 1997"
"Dalton may hatch business incubator"
"Elton John To Perform At McKenzie Arena On March 23"
"Tennessee Aquarium River Gorge Explorer Boat"
"Chattanooga becoming a destination for police reality TV shows"
"Electricity meets the Internet with smart meters"
"Tennessee Aquarium Boat tour highlights"
"Census of Population and Housing: Decennial Censuses"
"Electricity meets the Internet with smart meters | timesfreepress.com"
"Monifah's Girlfriend Terez Proposes On 'R&B Divas'"
"Incorporated Places and Minor Civil Divisions Datasets: Subcounty Resident Population Estimates: April 1, 2010 to July 1, 2012"
"2010 Demographic Profile Data (DP-1) for Chattanooga city, Tennessee"
"Chattanooga, TN-GA, Metropolitan Statistical Area: Religious Traditions, 2010"
"Climatography of the United States No. 20: 1971–2000"
"Littlefield: "We Want Local Control" of the Water Company"
"Chattanooga, TN: $40 a Day"
"Parent Company Of Tennessee-American Water To Be Sold In Public Offering"
"EPB Fiber surpasses 90,000 customers"
"EPB, AT&T and Comcast compete for Chattanooga customers"
"Chattanooga Natural Disaster and Weather Extremes for Chattanooga"
"Documented Tornadoes in Hamilton County TN"
"Funeral Services Set For Some Of Apison Tornado Victims"
"Chattanooga Announces 1 Gbps Tier | community broadband networks"
"Chattanooga news, entertainment, opinion, editorials"
"Memorial honors April 27th tornado victims"
"Railroad Museum Featured On History Channel Tuesday Night"
"Maci (Season 1, Episode 1)"
"Chattanooga Community Fiber Network Profiled on The Southern Way | community broadband networks"
"Knoxville News Station Envious of Chattanooga Fiber Network | community broadband networks"
"South Australia looks at Chattanooga for high speed broadband model"
"Station Name: TN CHATTANOOGA LOVELL AP"
"The State Game in Mayberry Carnival - the Games Forum! Forum"
"'The Steps', All Aboard As Chattanooga's Web Series Bows Tonight"
"WMO Climate Normals for CHATTANOOGA/LOVELL FIELD, TN 1961–1990"
"chattanooga | community broadband networks"
"Bike Chattanooga celebrates four years"
"In Chattanooga, EPB Customers Rave, Comcast Customers Livid | community broadband networks"
"Lionel Richie's Visit to the Scenic City"
"Amazon's Chattanooga Distribution Center is Expanding | community broadband networks"
"Chattanooga eying new bicycle models for bike-share program"
"An Interview With National Model Railroad Association Library Director Brent Lambert"
"EPB's Chattanooga smart grid gains federal accolades"
"EPB Deploys America's Fastest Fiber-optic Smart Grid - Lee Baker, Smart Grid Consultant"
"EPB smart meters a benefit"
"Market Street Bridge Project // What's Happening"
"More Chattanooga 1Gbps Thoughts and Coverage | community broadband networks"
"Movie filmed in Chattanooga to premiere Saturday"
"A Winner Never Quits (TV Movie 1986)"
"Big Five: Chattanooga's biggest banks"
"Newspaper marks 10 years since sales, merger"
"Johnston heads new Chase hub in Chattanooga"
"Nashville's Pinnacle Bank to buy CapitalMark for $187 million"
"Chattanooga Times Free Press Overview"
"Chattanooga hot market for bank mergers"
"Andy Berke is Chattanooga's new mayor"
"Brown v. Board of Commissioners"
"3 voted off Chattanooga City Council"
"Enigma Magazine in Print ‹ The New Enigma online magazine is now underway!" "Internet Newspaper to Appear in Chattanooga, Tenn"
"Group plans news website as Igou sells nooga domain"
"U.S. Census Bureau Delivers Tennessee's 2013 Census Population Totals, Including First Look at Race and Hispanic Origin Data for Legislative Redistricting"
"Chattanooga becomes sister city to Wolfsburg, Germany – WRCBtv.com | Chattanooga News, Weather & Sports"
"Chattanooga adds Italian city to Sister City family"
"Chattanooga, Tennessee (TN) Zip Code Map - Locations, Demographics"
"WAAK 94.7 FM WaaKool Radio - Catoosa County"
"Reports from the Town Twinning Network"
"Chattanooga extends international ties with Italian city Ascoli Piceno"
"Coolidge Park Tree in Danger of Being Replaced"
"Welcome to the World Wide Woop! - Streaming Radio, Video, Bluegrass, Talk Radio IOS 8.0 Compatible"
Other wiki pages related to Chattanooga, Tennessee.